More opposition parties have joined the demand of the leader of The Way of Georgia Salome Zourabichvili that President Saakashvili should resign by April 9. Former Parliament Speaker and leader of the opposition party Democratic Movement-United Georgia Nino Burjanadze said on Tuesday that Saakashvili should call snap Presidential elections for April 9. “Our main aim is to save the country, to maintain security. We have finished the first round of our consultations with opposition parties and we think that Saakashvili should call early Presidential elections for April 9. We think that all his resources have expired and the only way to reach our goal will be to hold protest rallies until the President is forced to resign,” Burjanadze said at a press conference. The Conservative Party has also called on its supporters to demonstrate demanding the President’s resignation. Speaking at a special press conference on Yesterday Zviad Dzidziguri said they are going to “live on Rustaveli Avenue.” “The Conservative Party will adhere to the agreement reached between the majority of opposition parties. On April 9 a wave of protest rallies will start in front of the Parliament building and will last until Saakashvili’s Government resigns,” Dzidziguri noted. The third opposition party to call for the launching street protests on April 9 is the People’s Party. According to its leader Koba Davitashvili, the only demand of the rally in April will be Saakashvili’s resignation. He called on all opposition parties and organizations to participate in the rally. Meanwhile, on February 23 the new alliance of former UN Ambassador Irakli Alasania, the New Rights and the Republican Party, known as the Alliance for Georgia, gave Saakashvili 10 days in which to call a referendum to find out whether the Georgian population wants snap elections or not. If its demand is not met, the alliance said it would “start real actions to conduct a general national plebiscite.” However not all opposition parties have agreed with the Alliance’s demand for a referendum. Nino Burjanadze has said “elections and referendum conducted by Saakashvili will not bring any good.” She called the demand for a referendum about snap elections a “wrong step,” saying that with the current Government in power it is impossible to hold a referendum without it being rigged. “We are forced to demand a specific date – April 9 - on which to hold the snap Presidential elections, otherwise we will call on our supporters and the whole of Georgia to change the Government through protest rallies, through constitutional means,” Burjanadze noted. Some opposition leaders are skeptical about the possibility of Saakashvili resigning in such a short period of time. Zurab Tkemaladze from Industry will Save Georgia has said he doubts if the opposition’s demand can be met. “I have heard the positions of Zourabichvili, Burjanadze and Alasania,” Tkemaladze was quoted as saying by Interpressnews News Agency “and I support their demand, but I am skeptical about how realistic it is. I am generally against the holding of street demonstrations, but if this is what the Georgian people want, I will stand at their side” he added. Analysts say the opposition’s failure to raise one joint demand might place an obstacle in its path. 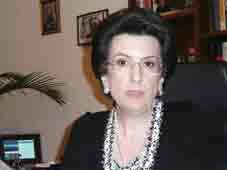 Political commentator Soso Tsiskarishvili said the opposition could have been more coordinated. He said the differences between the strategies of the opposition parties signify that they all have an ambition to rule the country. President Saakashvili has ruled out resigning before the end of his Presidential term in 2013. During his annual report to Parliament Saakashvili said “I will be performing my Presidential duties until 2013 and then there will be a new President, who will be elected in democratic and free elections.” He said this in response to ruling party MP Petre Tsiskarishvili, who had advised him not to repeat the precedent of the last year’s snap election. “Calling early elections after each and every difficulty makes the country more unstable,” Tsiskarishvili had said.